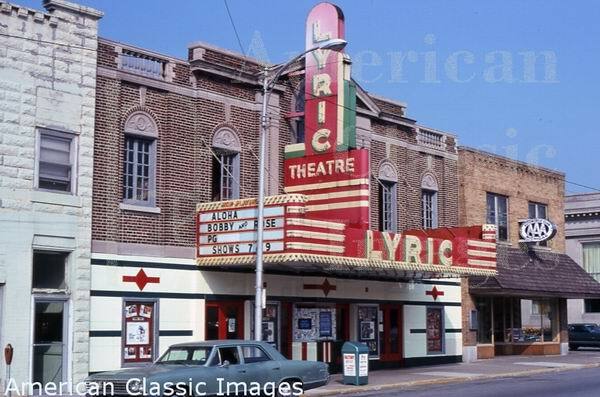 I had the opportunity today to take interior shots of the lyric theatre in ludington. It closed a few months ago. Its being leased by a church. They are using screen one for Sunday school, and knocked the wall out between screen 2 and three to make their sanctuary. 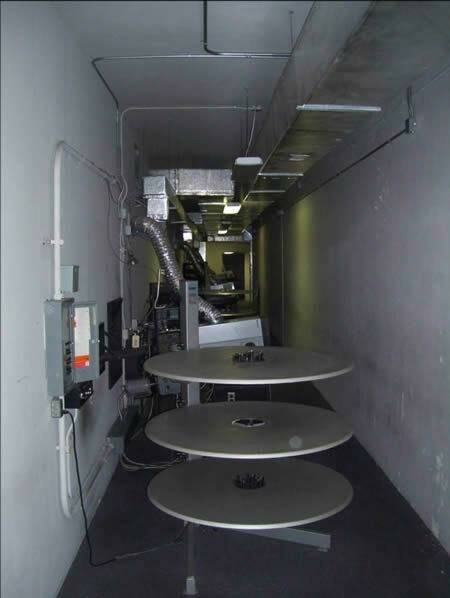 The projection room still has all the projectors and platters up there. The big yellow ladder leaning against the wall in some of the photos indicates where the wall was knocked out. Part of the old gorgeous ceiling was viewable as they had several tiles of the dropped ceiling removed. In one of the photos what appears to be a chunk of a wall of some sort still remains. In the basement are the dressing rooms. The stairs up to the projection booth are a gaudy blue, which is reminiscent of the same blue found at the Vogue in Manistee. Both theatres were owned by butterfield at one point, so perhaps when they stopped using butterfield green they decided to use so gaudy and bright you cant miss it blue. I was told by a gentlemen there that the old original auditorium went the opposite direction, with the screen being on the furthest wall from the entrance, and that it was 1989 when it was multiplexed. Upon entering the foyer to the basement, with the exception of one very large white plaster wall that appears to be related to the ventilation system. 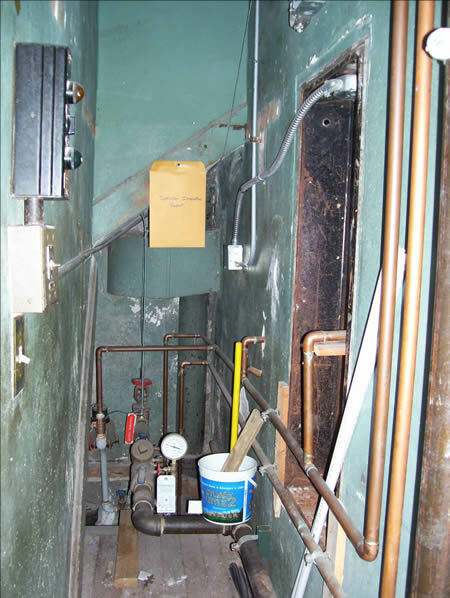 To the right, as you go to the basement is a small doorway which appears to lead to storage with what i would guess to be an old circuit breaker of some sort on the wall. The old utility closet next to the door to go to the projection booth is still completely butterfield green on the inside. 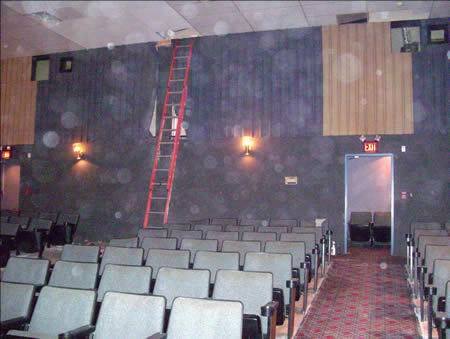 The Lyric Cinema 4 in Ludington closed on Septmber 6, 2007. Final show was Balls of Fury. Two articles appeared in the Ludington Daily News: End of an Era (09/06/2007) and Final Credits Roll at the Lyric (09/07/2007 - page 1). According to the above articles the theater opened in 1925. -Andrew the Librarian. 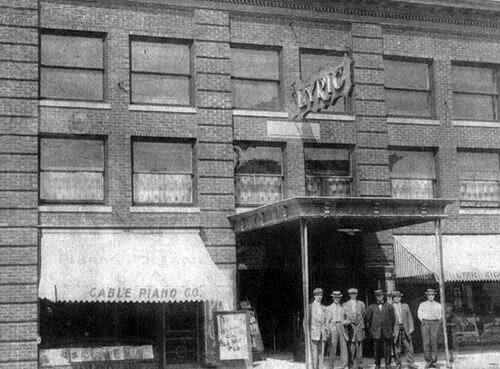 The Lyric was opened in 1925 after replacing an earlier theater of the same name. It originally consisted of one stage with seating all on one level. A simple lobby faced the street with gentleman''s and ladies lounges on the floor above and storage and dressing rooms located in the basement. Soon after construction, a balcony was added to accommodate more seating. 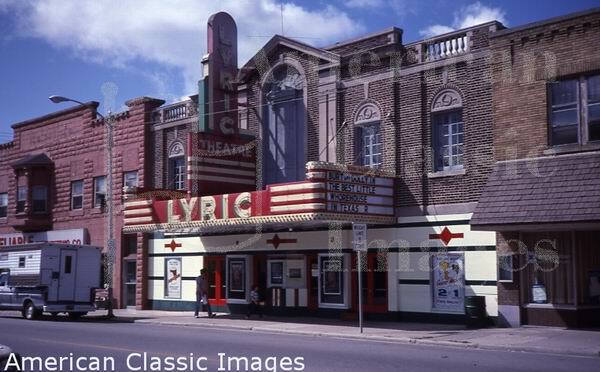 In the early 1990''s, the Lyric was heavily modernized, and split into a four screen movie theater. 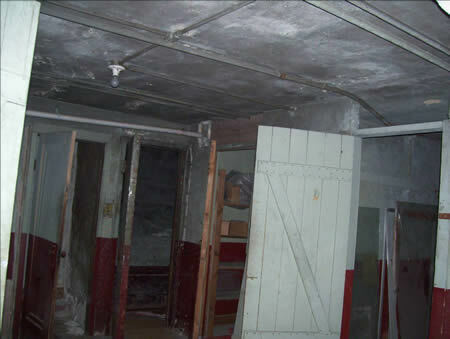 Bathrooms and a concession counter were carved out of the lobby and the stairs to the second floor and balcony were removed. The brick and windows of the facade were stuccoed over and painted red and white, leaving only the stone balastrade and pediment exposed at the top. The dressing rooms, second floor lounges, and the stage - now under the fourth screen - still exist. 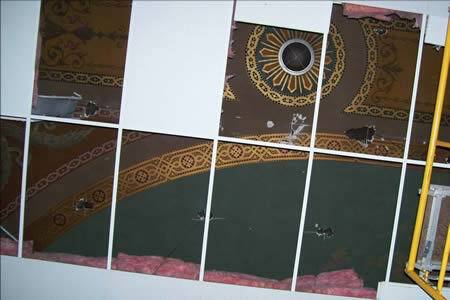 Part or all of the original sky mural and plaster ceiling may also still exist. 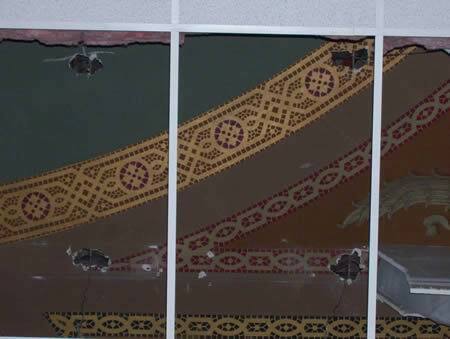 However murals along the back wall of the balcony were painted over during the renovation. 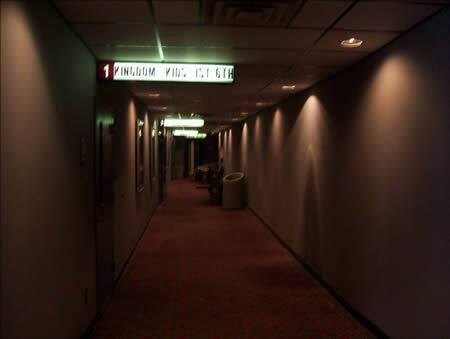 When Harbor Cinemas opened in 2004, the Lyric was downgraded from first to second run movies. Since attendance has been very low, the future of this cinema is uncertain.